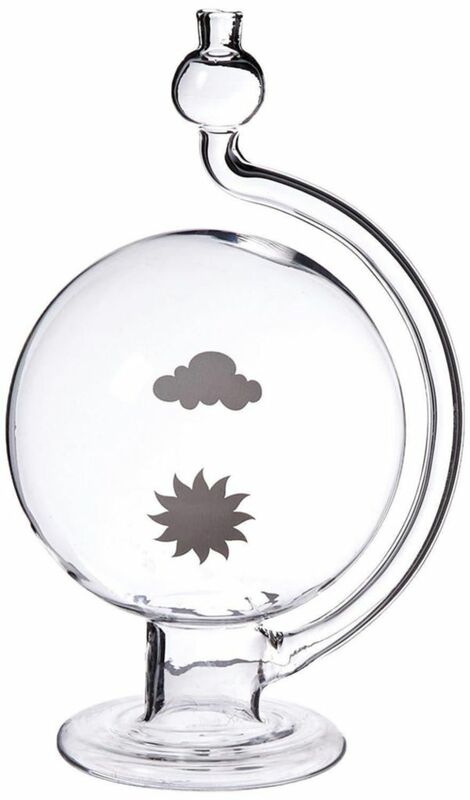 The Weather Globe Barometer is similar in design and function of the first barometer created by the Italian scientist Torricelli in 1643. 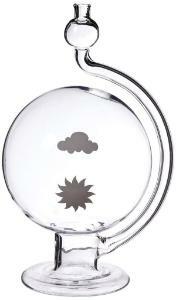 This glass weather barometer can be used to predict weather conditions. Rising water in the tube means bad weather, falling water in the tube means good weather. Not only is this a great demonstration of atmospheric pressure, but it is a beautiful addition to any home or office. Caution: Not a toy. Use in a laboratory or educational setting only. Not for children 13 and under.